Rest Day 8/28/14: Go Eat Some Watermelon! Below is a blog post from Alex Black of Wicked Good Nutrition. 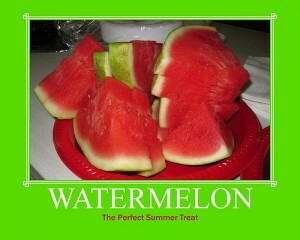 Read all about a recent study on watermelon and then tell us what you think. Will you be sucking down some Watermelon after our 5k on Saturday? This entry was posted in Motivation, Nutrition, Our Mission and tagged balance life, colorful foods, food, fruits vegetables, nutrition, water, whole grains fruits and vegetables, workout nutrition by Renegade Rowing. Bookmark the permalink.